Since the establishment of the company in 1919, Patrick has proudly supported the Australian Military in the defence of our Nation. During the 2nd World War James Patricks ships were requisitioned by the Australian Government for the War effort and came under enemy fire. Indeed, the MV Caradale was torpedoed by the Japanese off the coast of NSW on 12 May 1943, however the weapon thankfully failed to detonate. Additionally, we provided stevedoring service to government requisitioned vessels both during and after the war. 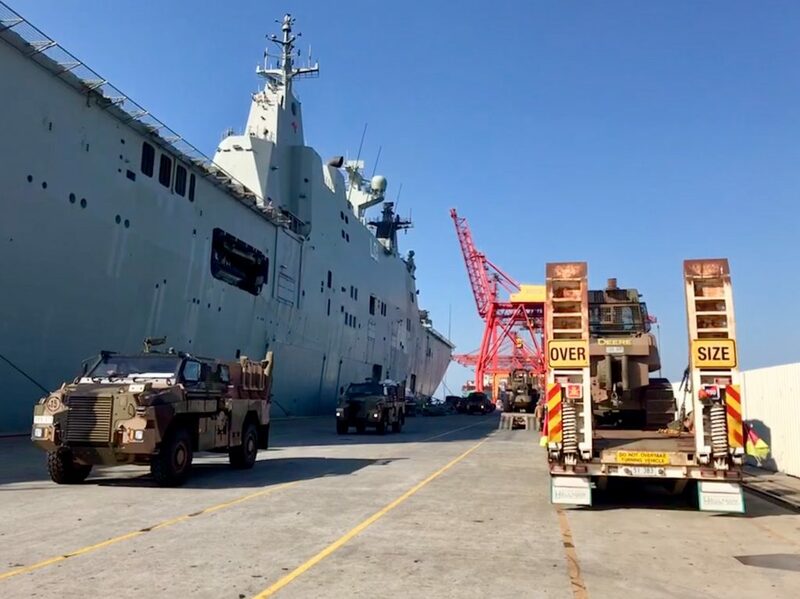 Today Patrick Terminals at Fisherman Islands regularly facilitates the embarkation and disembarkation of the ADFs fleet of LHDs for training and operations within Australia and the Pacific Region. We proudly employ a significant number of ex-service members in both Stevedoring and Management roles and are proud to partner with Solider On during the month of April to fundraise in support of our returned Service men and women and the National Security Agencies who serve beside them. We recognise the unique challenges that current and ex-serving members of the Defence Force and National Security Agencies face with social isolation, employment and mental health and hope to do our part to assist the men, women and families who gave, and continue to give, so much in the service of our Nation. What a great initiative! Very proud of the rich history of support Patrick has provided to current and ex serving members of the Australian Defence Forces and their families.